Due to the overall lengths of the Stock 3/8 diameter pushrods being almost 11 inches in the 12V and 11.5 inches in the 24V Cummins, we feel the strength of the OEM pushrods are not adequate for anything other than a Stock vehicle. When the stress on the pushrod surpasses what is considered a reasonable window of operation, the OEM pushrod is not designed to support the additional load that the valve train system is experiencing. To provide increased pushrod column strength and valve train stability, we offer both 3/8 and 7/16 diameter “3 Piece” pushrods. Our pushrods are manufactured with 4130/4135 seamless Chromoly tubing with a variety of heat treating conditions and wall thickness’ available, all coming standard with our billet steel tip ends. 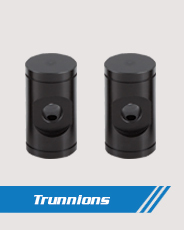 These tips have been CNC machined from 86L20 bar stock that are then core hardened and triple tempered, providing increased impact and wear resistance. This combination of materials and heat treatment procedures will extend the service life of the pushrod, while improving overall performance of your valve train. Our versatility in engineering and design allows us to manufacture a product that will enhance the specific combination of your engine. When we sit down to engineer a pushrod, we always try to fit the largest diameter pushrod we can, within the space available. By increasing the diameter of the tubing from 3/8 to 7/16, we can spread the load over a larger surface area without causing the pushrods to bind with the port of the cylinder head. This larger diameter tubing will provide almost 2 times the loading capacity before the pushrod begins to deflect. Larger diameter is always a better choice when it comes to pushrods and is why we suggest 7/16 diameter in all Cummins engines. With improved strength, performance and service life being our goals, we suggest upgrading pushrods to our Series 5 in all competition engines. If your engine is seeing an excessive amount of rpm, boost or nitrous, our Series 5 will provide an additional 105,000 p.s.i. tensile strength over our Series 3. The increase in rigidity will provide further accuracy of the valve timing and raise the point at which the valve train begins to surge. Our Series 5 pushrods are the strongest, most durable chromoly pushrods ever produced. This has been proven in our top fuel, blown alcohol, sprint car, cup, dirt short course, Baja, tractor pulling and offshore marine Champions, year after year. Last but certainly not least, if you have made any changes to the engine requiring custom length pushrods, we sell pushrod length checking tools with proper ball and cup radius’ to replicate the OEM pushrod in both the 12V and 24V engine. Correct pushrod length will allow you to keep stock rocker geometry and therefore, allowing the scrubber cup of the rocker arm to correctly ride the contact area of the valve bridge in a 24v engine or the friction pad of the rocker arm to ride the valve tip in a 12V engine. If the adjusting screw is not at the stock position, it will change the ratio of the rocker arm, in turn affecting valve lift. All in all, pushrods are a very important link in the valve train that are often overlooked at the expense of performance and service life. 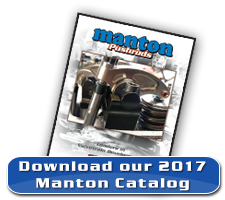 If you require additional assistance, please call (951)245-6565 or Email Techline@mantonpushrods.com. 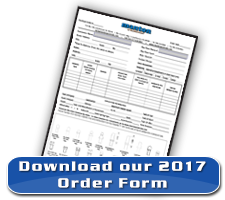 *Please let us know if you have changed to an aftermarket tappet requiring hybrid Cummins pushrods with a different tappet end. Why 7/16 diameter pushrods? Click here → to read why! Customers should confirm all dimensions before ordering pushrods! Due to the overall length of the Stock 6.0 and 6.4 pushrods being almost 10 inches, we feel the strength of the OEM pushrods are not adequate for anything other than a stock vehicle. When the stress on the pushrod surpasses what is considered a reasonable window of operation, the OEM pushrod is not designed to support the additional load that the valve train system is experiencing. To provide increased pushrod column strength and valve train stability, we offer 11/32, 3/8 and 7/16 diameter “3 Piece” pushrods. Our pushrods are manufactured with 4130/4135 seamless Chromoly tubing with a variety of heat treating conditions and wall thickness’ available, all coming standard with our billet steel tip ends. 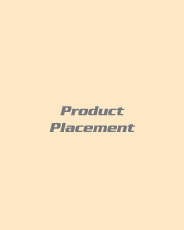 These tips have been CNC machined from 86L20 bar stock that is then core hardened and triple tempered , providing increased impact and wear resistance. This combination of materials and heat treatment procedures will extend the service life of the pushrod, while improving overall performance of your valve train. Our versatility in engineering and design allows us to manufacture a product that will enhance the specific combination of your engine. When we sit down to engineer a pushrod, we always try to fit the largest diameter pushrod we can, within the space available. With the window we have to work in, the stock 11/32 diameter is the largest diameter pushrod that will drop right in without any modifications. However, by increasing the diameter of the tubing from the stock 11/32 to 3/8, we can spread the load over a larger surface area without causing the pushrods to bind with the port of the cylinder head. 3/8 diameter will require the port hole of the head gasket to be relieved to fit the larger diameter. This larger diameter pushrod will provide almost 50% more loading capacity than a 11/32 diameter before beginning to deflect. Larger diameter is always a better choice when it comes to pushrods. With improved strength , performance and service life being our goals, we suggest upgrading pushrods to our Series 5 in all competition Power Stroke engines. If your engine is seeing an excessive amount of rpm, boost, or nitrous , our Series 5 will provide an additional 105,000 p.s.i. tensile strength over our Series 3.The increase in rigidity will provide further accuracy of the valve timing and raise the point at which the valve train begins to surge. Our Series 5 pushrods are the strongest, most durable chromoly pushrods ever produced. This has been proven in our top fuel, blown alcohol, sprint car, cup, dirt short course, Baja ,tractor pulling and offshore marine champions, year after year. Last but certainly not least, if you have made any changes to the engine requiring custom length pushrods, we sell pushrod length checking tools with proper ball radius’ to replicate the OEM pushrod in both the 6.0 and 6.4 engines. Correct pushrod length will allow you to keep stock rocker geometry and therefore ,allowing the scrubber pad of the rocker arm to correctly ride the contact area of the valve bridge. If the pushrod length is not correct, it will change the pre-load of the hydraulic unit to be incorrect, resulting in premature failure. Note of interest: Ford has decided to supersede the original 6.0 pushrod length of 9.850 and is now going to supply only one length pushrod for both the 6.0 & 6.4 engines. We would suggest this superseded length for anyone with the stock 6.4 engine combination. 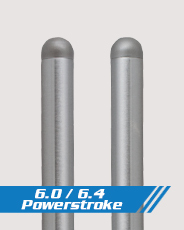 Due to the overall length of the Stock 5/16 diameter pushrods being almost 10 inches, we feel the strength of the OEM pushrods are not adequate for anything other than a stock vehicle. When the stress on the pushrod surpasses what is considered a reasonable window of operation, the OEM pushrod is not designed to support the additional load that the valve train system is experiencing. To provide increased pushrod column strength and valve train stability, we offer 3/8 diameter “3 Piece” pushrods. Our pushrods are manufactured out of 4130/4135 seamless Chromoly tubing with a variety of heat treating conditions and wall thickness’ available, all coming standard with our billet steel tip ends. 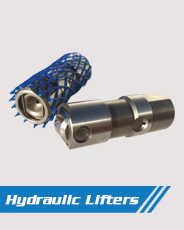 These tips have been CNC machined from 86L20 bar stock that is then core hardened and triple tempered , providing increased impact and wear resistance. This combination of materials and heat treatment procedures will extend the service life of the pushrod, while improving overall performance of your valve train. Our versatility in engineering and design allows us to manufacture a product that will enhance the specific combination of your engine. When we sit down to engineer a pushrod, we always try to fit the largest diameter pushrod we can, within the space available. With the window we have to work in, a 3/8 diameter is the largest diameter pushrod that will drop right in without any modifications. By increasing the diameter of the tubing from the stock 5/16 to 3/8, we can spread the load over a larger surface area without causing the pushrods to bind with the port of the cylinder head. This larger diameter pushrod will provide almost twice the loading capacity of a 5/16 diameter before beginning to deflect. Larger diameter is always a better choice when it comes to pushrods. Last but certainly not least, if you have made any changes to the engine requiring custom length pushrods, we sell pushrod length checking tools with proper ball radius’ to replicate the OEM 6.7 pushrod. Correct pushrod length will allow you to keep stock rocker geometry and therefore ,allowing the scrubber pad of the rocker arm to correctly ride the contact area of the valve tip. If the pushrod length is not correct, it will cause the pre-load of the hydraulic unit to become incorrect, resulting in premature failure. Due to the overall length of the Stock pushrods being almost 10.25 inches, we feel the strength of the OEM pushrods are not adequate for anything other than a stock vehicle. When the stress on the pushrod surpasses what is considered a reasonable window of operation, the OEM pushrod is not designed to support the additional load that the valve train system is experiencing. To provide increased pushrod column strength and valve train stability, we offer 3/8 and 7/16 diameter “3 Piece” pushrods. Our pushrods are manufactured out of 4130/4135 seamless Chromoly tubing with a variety of heat treating conditions and wall thickness’ available, all coming standard with our billet steel tip ends. 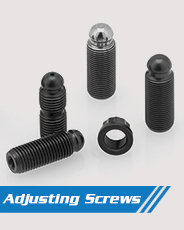 These tips have been CNC machined from 86L20 bar stock that is then core hardened and triple tempered , providing increased impact and wear resistance. This combination of materials and heat treatment procedures will extend the service life of the pushrod, while improving overall performance of your valve train. Our versatility in engineering and design allows us to manufacture a product that will enhance the specific combination of your engine. When we sit down to engineer a pushrod, we always try to fit the largest diameter pushrod we can, within the space available. With the window we have to work in, a 7/16 diameter is the largest diameter pushrod that will drop right in without any modifications. By increasing the diameter of the tubing from the stock 3/8 to 7/16, we can spread the load over a larger surface area without causing the pushrods to bind with the port of the cylinder head. This larger diameter pushrod will provide almost twice the loading capacity than a 3/8 diameter before beginning to deflect. Larger diameter is always a better choice when it comes to pushrods. With improved strength , performance and service life being our goals, we suggest upgrading pushrods to our Series 5 in all competition Power Stroke engines. If your engine is seeing an excessive amount of rpm, boost or nitrous, our Series 5 will provide an additional 105,000 p.s.i. tensile strength over our Series 3.The increase in rigidity will provide further accuracy of the valve timing and raise the point at which the valve train begins to surge. Our Series 5 pushrods are the strongest, most durable chromoly pushrods ever produced. This has been proven in our top fuel, blown alcohol, sprint car, cup, dirt short course, Baja ,tractor pulling and offshore marine champions, year after year. Last but certainly not least, if you have made any changes to the engine requiring custom length pushrods, we sell pushrod length checking tools with proper ball radius’ to replicate the OEM pushrod. Correct pushrod length will allow you to keep stock rocker geometry and therefore ,allowing the friction pad of the rocker arm to correctly ride the contact area of the valve tip. If the pushrod length is not correct, it will cause the pre-load of the hydraulic unit to be incorrect, resulting in premature failure. 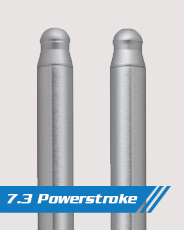 Due to the marginal column strength, we feel OEM pushrods are not adequate for anything other than a Stock vehicle. When the stress on the pushrod surpasses what is considered a reasonable window of operation, the OEM pushrod is not designed to support the additional load that the valve train system is experiencing . When we sit down to engineer a pushrod, we always try to fit the largest diameter pushrod we can, within the space available. By increasing the diameter of the tubing from 3/8 to 7/16, we can spread the load over a larger surface area without causing the pushrods to bind with the port of the cylinder head. This larger diameter tubing will provide almost 2 times the loading capacity before the pushrod begins to deflect. Larger diameter is always a better choice when it comes to pushrods and is why we suggest 7/16 diameter in all Duramax engines. With improved strength , performance and service life being our goals, we suggest upgrading pushrods to our Series 5 in all competition engines. If your engine is seeing an excessive amount of rpm, boost or nitrous , our Series 5 will provide an additional 105,000 p.s.i. tensile strength over our Series 3.The increase in rigidity will provide further accuracy of the valve timing and raise the point at which the valve train begins to surge. Our Series 5 pushrods are the strongest most durable chromoly pushrods ever produced .This has been proven in our top fuel, blown alcohol, sprint car, cup , dirt short course, Baja ,tractor pulling and offshore marine champions, year after year. Last but certainly not least, if you have made any changes to the engine requiring custom length pushrods, we sell pushrod length checking tools with proper ball and cup radius’ to replicate the OEM pushrod. Correct pushrod length will allow you to keep stock rocker geometry and therefore ,allow the pad of the rocker arm to correctly ride the contact area of the valve bridge. 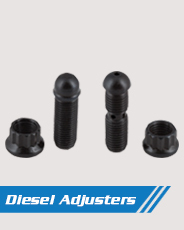 If pushrod length is incorrect, the oil transfer band in the rocker arm adjusting screw will no longer be in alignment with the oil transfer passage in the rocker arm body. In effect, shutting oil off to the lifters and causing the bushing and rollers to overheat and be damaged, along with the case hardened surface of the camshaft. All in all, pushrods are a very important link in the valve train that are often overlooked at the expense of performance and service life. With an increase of aftermarket component suppliers in the diesel industry, it has become critical for all customers to check their pushrod length. This is crucial because any changes made to the dimensions of the components by an aftermarket supplier, will result in a different length pushrod being required to keep stock rocker arm geometry. Improper rocker arm geometry will cause premature failure and loss of performance in the valve train. We suggest using our diesel length checking tool to properly come up with a corrected pushrod length to call out. We will use the length you provide to produce a pushrod within just a few thousandths of the length called out. Changes to the head gasket , desk high , cam shaft base circle and a multitude of other factors, can cause an incorrect length with the OEM pushrod. 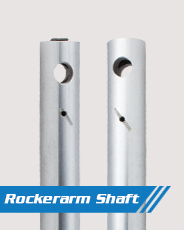 Our pushrod length checking tools are designed with 1 inch of adjustment on the rocker arm end. Once you have the tool adjusted to the corrected pushrod length, torque the lock nut in place. While using the dummy springs provided , roll the motor over and check the contact area of the rocker arm friction surface on the tip of the valve or pad of the valve bridge. 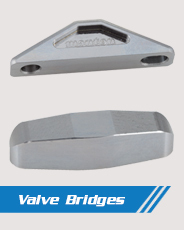 If the rocker arm is not riding the desired area of the valve tip or pad of the valve bridge, adjust the length of the checking tool until your rocker arms are contacting the correct area. This allows us to custom build a pushrod to enhance the specific combination for your engine, while improving the service life and performance of the entire valve train system. We build these custom pushrods in 2-48 hours after receiving your order.